On the day we were using la plancha to cook our Shrimp a la Mexicana, we had some a couple of chicken breasts lying around in the fridge. Since the griddle was already hot, we decided to cook the breasts on it and maybe make sandwich filling out of the breasts. In keeping with the Mexican theme, and since I didn't want to wash the griddle after cooking the breasts, I seasoned the breasts with some chili powder and salt and seared away. After the breasts were cooked, TS proceeded to chop them into cubes and added some mayo and lime juice to lubricate. 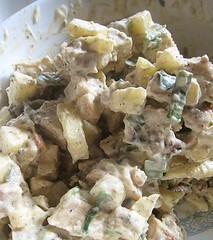 She cut up an apple into cubes, chopped up some green onions, and sprinkled some minced cilantro into the mix. All in all, it was one fantastic filling! 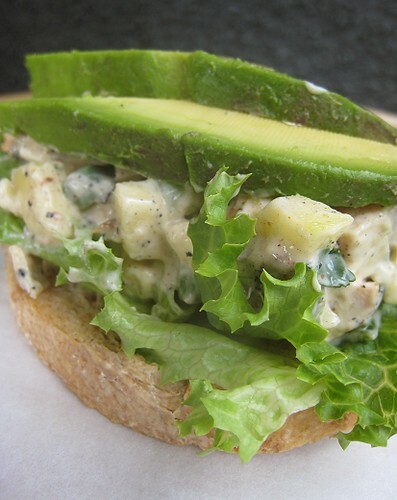 We had some avocadoes so some slices went on top of the chicken salad, along with green leaf lettuce and bread for one sandwich. Other times, I just wrapped the chicken salad into some leaf lettuce and ate it like a lettuce wrap. 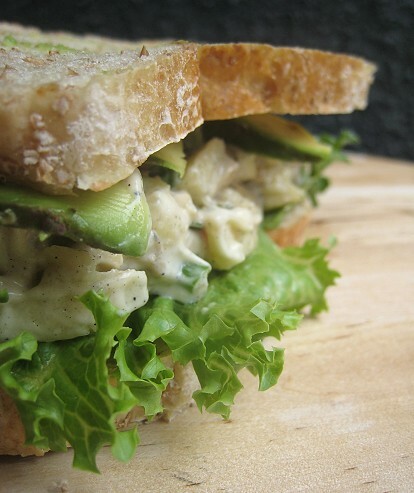 Those black bits on the chicken salad? Those would be carcinogen-y goodness from the plancha. Of course, TS could not resist and proceeded to make avocado shakes from the avocados we had. She had the green-themed lunch above. 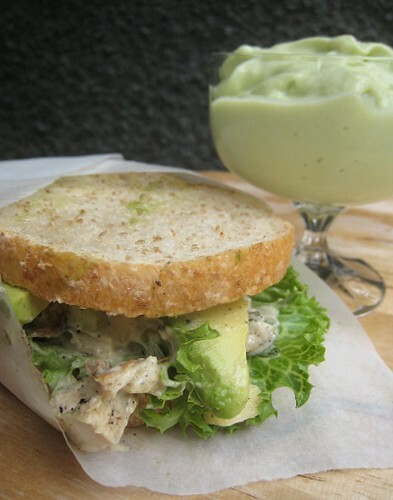 I love avocado shakes and pairing it up with this sandwich is a great idea! This looks way nicer than the horrible lunch I just ate. GREAT stuff. 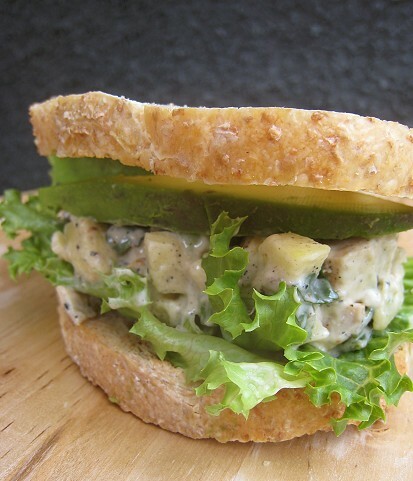 Nice looking chicken salad sandwich! 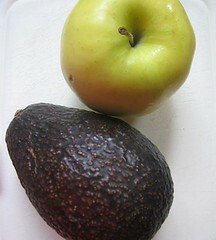 I like the use of the avocado in it!